You can sign up to be a TD here. Applications to TD a Local Singles Qualifying Bracket will be accepted starting on February 1, 2019. Applications will be approved within one week of receipt. Payment for Local Qualifying Bracket player packs and trophies must be made by April 1st. Applications for Local Qualifying Brackets will be accepted until March 23rd. This will give you a week to promote players to and get 16 players signed up to compete. This year we will offer up to 16 unreleased blue Latitude 64 Opto Moonshine Keystones at $10 each for each bracket TD. This will be the only chance to get your hands on these until they are released later on in the year. Please contact us if you are interested! TDs are free to do what they would like with these. We encourage you to purchase these before player packs are sent out for your bracket. An invoice will be sent shortly after via PayPal. Dynamic Discs will award no more than 16 Local Qualifying Brackets that make the most sense based on geography and population centers in that particular state or province. Individuals may run more than one Local Qualifying Bracket in their state. TD Packages will be delivered by March 29, 2019. This year, we will offer up to 16 unreleased Latitude 64 Opto Moonshine Keystones per bracket at $10 each for local and state TDs. What comes in the TD package? Login information for the bracket manager powered by UDisc. Note: Registration fees for individual players is $45. $45 x 16 players equals $720. If a TD’s bracket is completely full (16 players), the TD will have three reward options to choose from: free entry for the TD to his/her bracket, $45 via PayPal, or $80 store credit at DynamicDiscs.com. If a TD chooses free entry then they would be charged $675. $45 x 15 players equals $675. These rewards are Dynamic Discs’ way of thanking you for running a bracket. Again, these rewards are only available for completely full brackets. 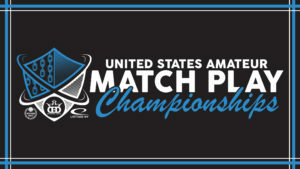 Singles Local Qualifying Brackets should be completed during the month of April. Want to run a bracket? It is even easier in 2019. Prospective TDs will sign up to run brackets using the UDisc application this year. In fact, UDisc will be used for player sign ups too. Note: There are no refunds once a player has registered through UDisc. Players will still receive their player packs if the bracket doesn’t meet the minimum of 4 and paid through UDisc. The individual would have to find a replacement in order to get their money back. TDs will not have to collect money like last year if they do not want to. TDs who do not use the UDisc app for registration will need to enter the names of the participants into the UDisc app for their players. The UDisc app will randomly generate a bracket that the sixteen players will follow. Local Qualifying Bracket TDs will update their bracket using the UDisc app at the conclusion of each match. An entire 16 person match play bracket could be completed over the course of two days or over the course of an entire month. Local Qualifying Bracket TDs can choose to implement the play in the bracket as they see fit, just as long as a single champion results before the end of April 2019. DO NOT create bracket until day of your local qualifying bracket. The One Month Model can take place over a shorter time span as well. A single course or multiple courses can be used throughout bracket play. The schedule and courses should be determined ahead of time and must be posted on the Local Qualifying Bracket UDisc scoring page.